Lip Plumper Reviews: Which Ones Get You Celebrity Caliber Kissers? Getting a pair of full luscious smackers is near the list of many women, and a lip plumper might be just the thing that you need to get you there. There’s only so much you can do to draw more attention to your lips and make them look bigger. Lipstick will only take you so far, and lip close will only make your lips look more shiny. The purpose of lip plumpers is, as the name entails, to plump those lips up and make them look pouty by nature. Based on things like ethnicity and genetics, some of us have lips that are naturally thin, or naturally thick. It’s the same thing as some of us having naturally curly hair, and naturally straight hair. That’s why it’s not a good idea to get overly concerned about your lips, because they’re largely unchangeable, even with plastic surgery. In fact, it’s one of the most-botched parts of the body when it comes to getting them professionally worked on. So lighten up on your lips, keep a positive attitude, and just have fun with the different offerings that are available. Is Lip Plumper Bad for You? Some people are concerned that lip plumper is bad for you based on the fact that there’s a tingly sensation that occurs when you put it on. What’s happening is that it’s causing an allergic reaction on your lips, which is making them engorge and appear bigger. That leads some to conclude that it must not be good for you, since it is intentionally making your body react this way. It basically amounts to a parlor trick that you’re playing on you’re body. There hasn’t been enough research done to say whether or not repeated use of a lip plumper would cause any sort of damage. Any harm done is most likely temporary and wears off when the plumper does. Since there are plenty of different brands to choose from, we’ve tried to make it a little easier by organizing them on this page. Our mission is to get the top brands all fully reviewed for you and featured here so that you can quickly scan this page and know exactly what your best options are. It’s important to remember that just because we say it works or it doesn’t, you might have a differing opinion or experience. Please use our recommendation as a guide for your own personal due diligence and trial and error. 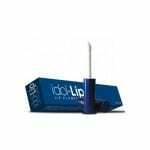 Idol Lips relies on an amino acid to get the desired plump going on in your lips. What they do beyond that is what sets them apart. They include a good amount of moisturizers as well, so you’re not just getting a poutier set of lips, you’re getting the needed moisture that our lips just can’t create on their own. One great feature about Idol Lips is that they give you a break on the price when you order multiple sets. Since we found that it does in fact work, they must figure that people will want to order it for the long-term. 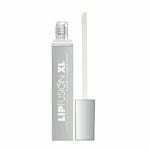 What sets LipFusion XL apart from the others is that it doesn’t cause the allergic reaction that the rest do. What it does instead is gets your lips to lock in the body’s water content, effectively swelling your lips by retaining water in the area. They might be a little more expensive than the other brands, but those that are concerned about the whole allergic reaction concerns won’t mind paying a little extra for a more natural product. This is also an overnight lip plumper, so if you’re looking for a hassle free way to go, this is the one for you. This one has the most dangerous sounding name, but the reviews that are coming in are mixed at best. We couldn’t give this one our Thumbs Up, but it didn’t get our Thumbs Down either. There were enough positive responses to make it inconclusive, meaning it might work for you if you give it a try. A lot of women like it, and would recommend it, there were just too many that said it didn’t do anything. The fun with these products is that it’s not a major life decision, it’s just something you can try and observe the results you get without putting a lot of stress on the outcome. This was the most elusive of all the products we’ve reviewed. Apparently they’ve discontinued it, much to the disappointment of those that tried it and said it worked. This was one of the good ones, according to the overwhelming majority of positive feedback, but for whatever reason they stopped making it. 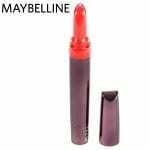 A big cosmetic company like Maybelline has a lot of considerations to make and perhaps they were worried about something that causes an intentional allergic reaction. You can still find it here and there online, so if you do find it, grab a couple of tubes because it might not still be there when you run out. This is one of the lip plumpers that we think should make your short list of products to try. It has enough positive responses to it that it can’t be ignored, but it just doesn’t have enough to get our official Thumbs Up. There’s a large possibility that it will work for you, but also a large chance that it won’t work. It deserves a try, especially if you’re looking at a cost effective solution, as it clocks in on the lower side in regards to price. Try it alongside others like Idol Lips or LipFusion XL and see which of them works best for you. No. The effects of all of the lip plumpers on this page is temporary, with some of them lasting a few hours, and some of them lasting all day. None of them continue their effect after you discontinue use. That’s one important thing to consider: if you go with one of these you’re basically committing to using it again and again for the long term if you want to keep the results going. Still, compared to getting collagen or Botox injections, this is still a decent option, because neither of those procedures is permanent either. Some people have concerns that they might have an allergic reaction to using a lip plumper, which is kind of odd because the whole point of these products is to cause an allergic reaction, confined to your lips only. However, if the feeling goes past the expected tingly sensation, and starts burning and stinging, then you’re probably having a reaction and should stop using it immediately. Some lip plumpers are like lip gloss, where you are supposed to carry it around with you and reapply it several times as needed. Others are applied at bedtime, which might seem silly because you’ll just be sleeping and who can see your lips anyway, but the point is that the effects can be seen all the next day. It’s totally up to you whether you want more of an ad hoc lip plumper that you just put on as needed, or if you want something that you can make part of your bedtime routine, and then not have to worry about it all the next day. Which Lip Plumper Works the Best? We’ve narrowed the field down considerably, and have a few different recommendations. Idol Lips and LipFusion XL are our top to recommendations, and each is unique in its own way. Idol Lips uses the tried and true method of using a mild allergic reaction to pull of the effect, while LipFusion XL takes a different approach and attempts to retain the water in your lips, giving them a larger look. They also vary in how often they’re applied, with Idol being an as-needed solution, and LipFusion being an overnight treatment. We’ll continue scanning the market for other possible contenders, but for now these are the two best products we’ve found. Lip plumpers can be fun things to try out if you just keep an open mind and don’t put a lot of pressure on any one product to work. Understand that this is all just for show, and you’re not making any permanent fixes here. You can use it when you want to go out, or when you have a special occasion, but we don’t recommend trying to fool people that you’ve suddenly got a perfectly rounded pair of puckers. When choosing a lip plumper, get your list down to the 3 you most want to try, and do your own showdown to see which one works best on your own lips.